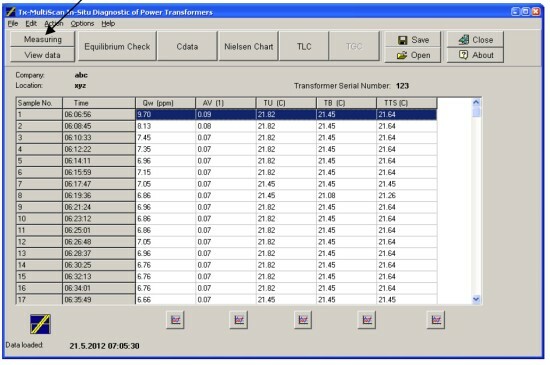 and quickly connected to the oil sampling points of any transformer. 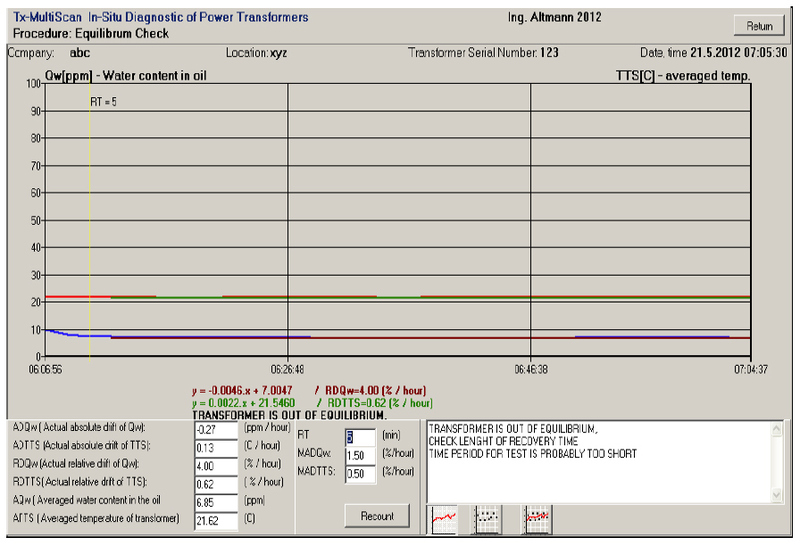 transformer already within 30 - 40 minutes. 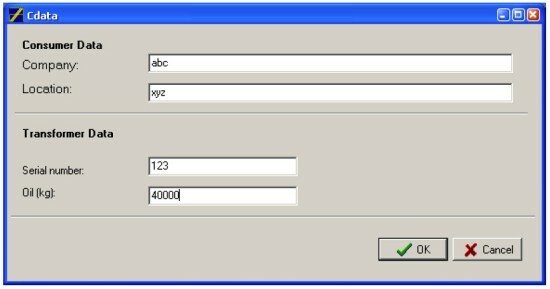 the program is started by clicking on the MultiScan.exe icon at the Main window of the lap-top and we get the main Tx-Multiscan window. 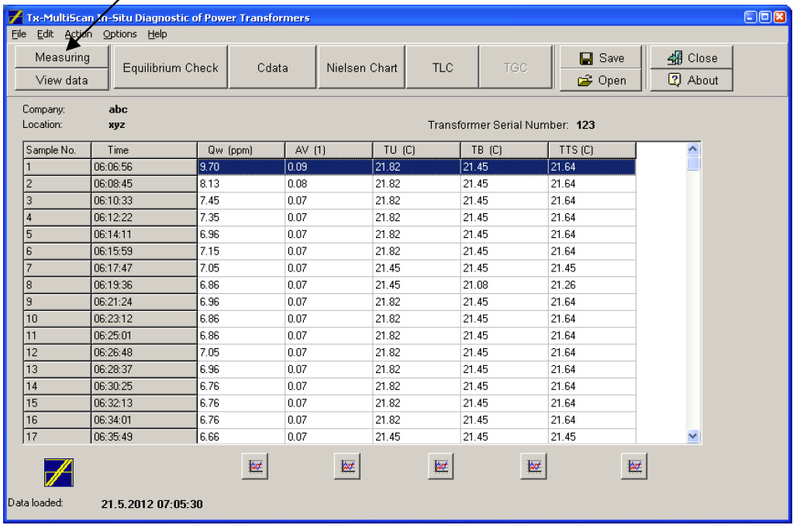 By click on the Measuring button are data transferred into the lap-top and visualized in the form of the Data Table. 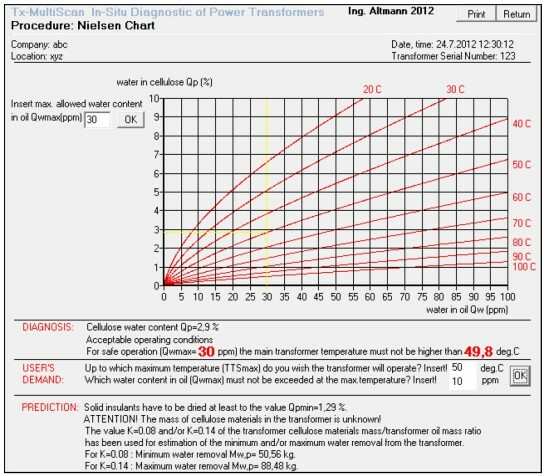 By click on the button Equlibrium Check the timerelated diagram of Qw- and TTS-value (transformer average temperature) is shown or sent to the clipboard for reprocessing or can be re-opened by clicking on and evaluated under different MAD (Maximal Actual Drift) -limits. After clicking on the Nielsen Chart button the evaluation of water content in the cellulose is shown. the first determination of operation conditions is focused on evaluation of the maximum allowed temperature level of this transformer where the water content in oil doesn´t exceed allowed limit transformer (49.8 deg C). 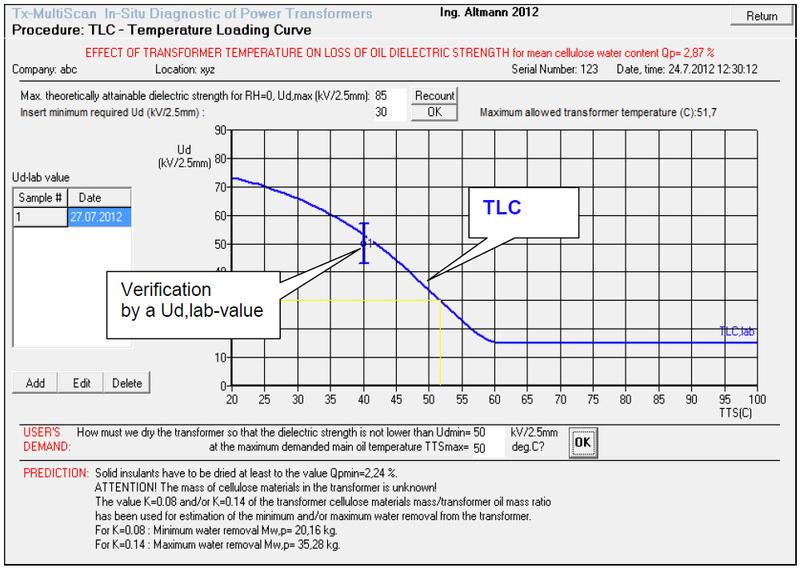 In the next diagnostic step, started by the click on TLC-button, the next very important relation between the theoretical dielectric strength of oil (Ud-value) and the averaged temperature of this specific transformer is established. This step is extremely important especially for the determination of IEC-requested operation conditions of the transformer (the Ud-value has to be, under operation condition, always higher than IEC-given limit). 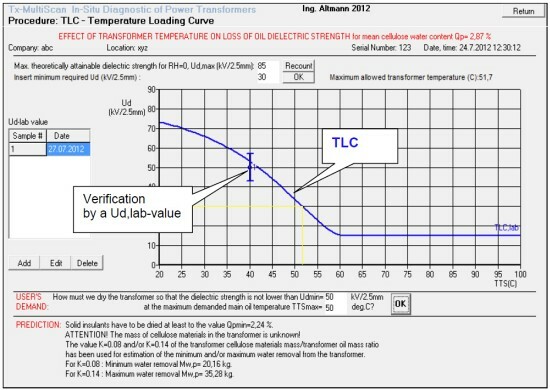 In contrast to standard diagnostic which gives us only single Ud-value at a sampling temperature and nothing else, the TLC-relation (Temperature Loading Curve) gives us substantially better insight because describes the change of the Ud-value of oil within the whole temperature range of the given transformer . 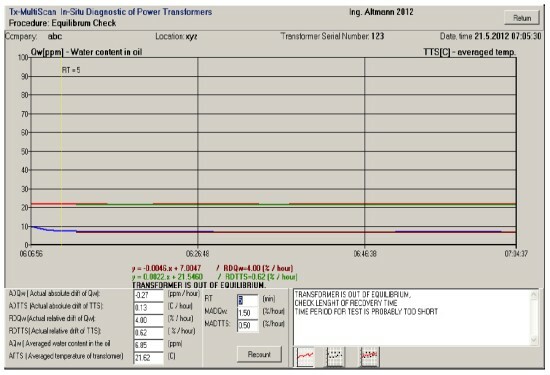 "hot" transformer is often regarded as unsuitable ( water content in oil is high ( its relative humidity is high) and its Ud-value is e.g. lower than allows the norm). 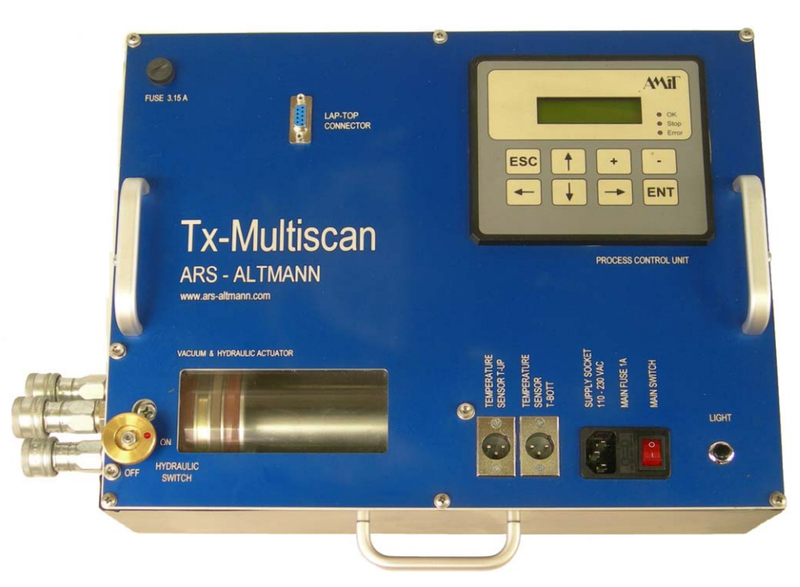 The Tx-Multiscan not only show us the TLC-relation of a given transformer but enables us, by entering of demanded dielectric strenght and demanded Tx-temperature, to quantify the amount of water which has to be removed to meet this target.